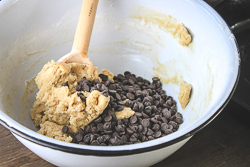 Close your eyes, imagine biting into a warm, chocolate chip cookie. 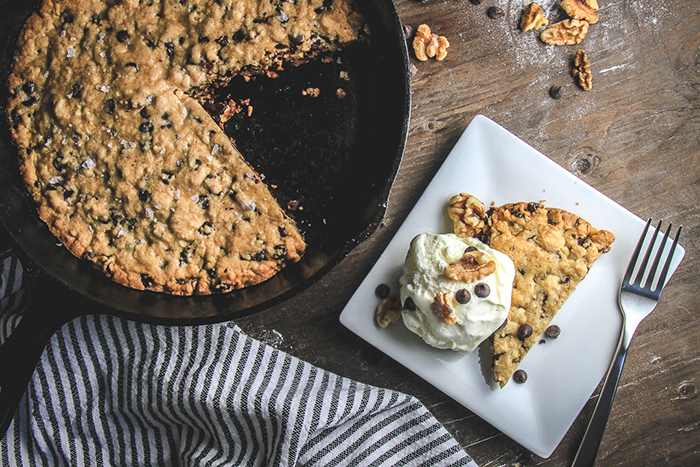 To make your dreams come true, try this skillet chocolate chip cookie -- it delivers the perfect chewy, chocolatey experience that you need. 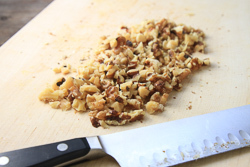 This recipe's flavor is elevated with a few special add-ins -- a hint of heat from the cayenne pepper, just the right amount of dark chocolate chips, plenty of crunchy walnuts, and to complete the experience - a sprinkle of flaked salt. 1. Preheat the oven to 350° F. In a large bowl, mix the butter, granulated sugar, and brown sugar until evenly incorporated. Stir in the egg and the vanilla. 2. 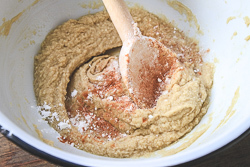 In a separate bowl, mix the dry ingredients, flour, baking soda, salt, and cayenne pepper until evenly combined. 3. 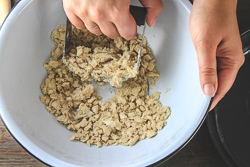 Add the dry ingredient mixture to the butter-sugar mixture. 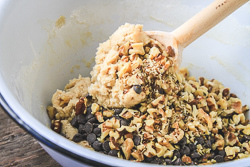 Fold in the chocolate chips and walnuts. 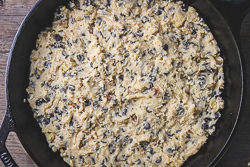 Transfer the cookie dough to a 10-inch cast-iron skillet and pat into place forming an even layer. 4. 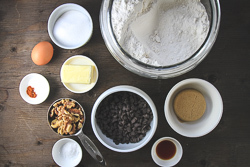 Bake in a preheated oven until the cookie is golden brown and just set in the center (the dough springs back to a light fingertip touch, 18 to 20 minutes. Let the cookie cool for 5 minutes and sprinkle with flake salt before serving. Serve warm wedges with vanilla ice cream.